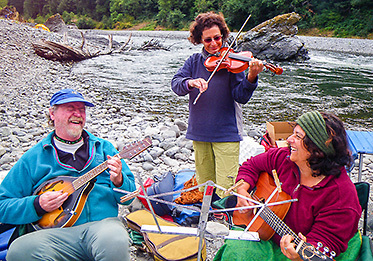 Alaska, Oregon, and California whitewater river rafting and hiking trips Tatshenshini, Alsek, Noatak, Rogue and Klamath Rivers with James Henry River Journeys; special-interest educational programs. 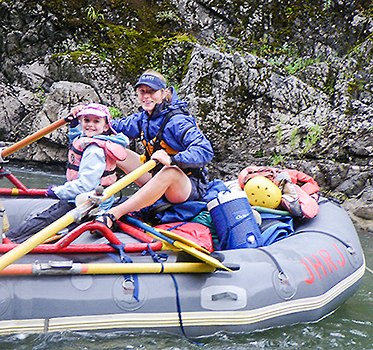 Our Natural History, Anthropology, Wilderness Literature, Wine Tasting, and Musical Special-theme departures on Alaska and California rivers have been the hallmark of our whitewater rafting program since 1972. On these wilderness whitewater rafting trips on the Tatshenshini-Alsek and Klamath Rivers, we showcase the talents of highly regarded anthropologists and photographers; and acclaimed winemakers and musicians who lend their expertise to the journey; informing and enhancing the experience for participants and crew alike. 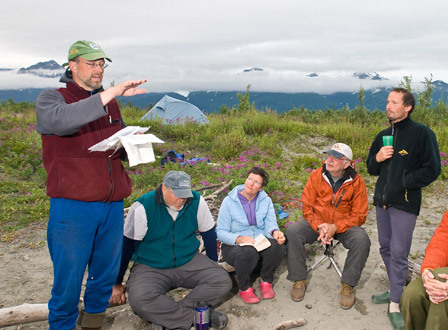 On Tatshenshini River Trips, Outfitter/guide Jimmy Katz (Trip #1-July 11; Trip #2-July 28 will lead hikes of discovery and inform participants about this watershed from salmon cycles to the action of glaciers on the land. A guest anthropologist and university professor (TBA (Trip #2; July 28) will discuss the prominent prominent role that glaciers have played in the recent human history of northwestern North America emphasing oral narratives and folklore and travel stories. On all these Tatshenshini trips, river outfitter and guide, Jimmy Katz will also help photographers take more expressive images. Jimmy also plays the role of head chef, delighting participants with his imaginative culinary skills. 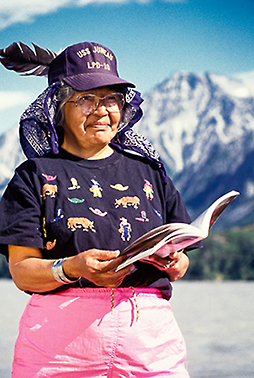 On Trips #1 and #3 he will lead discussions on Alaskan indigenous literature and travel tales. On our Marsh Fork/Canning River departure Jimmy Katz and his veteran Alaska crew will lead a small group of adventurers into the high Arctic for this new departure. On Klamath River Trips— winemakers in June, our delightful winemakers Peter Wellingto, Morgan Twain-Peterson and Michael and Anne Dashe break out their well-crafted varietals. After you read the descriptions of these Special-Theme trips you might want to read about the Guides and Facilitators who will share their artistry with you. Outfitter and veteran river guide, Jimmy Katz, will be leading this expedition and sharing his insights into this remarkable watershed: from salmon cycles to the habits of the wildlife that inhabit the region, and the action of glaciers carving the land. As a nature photographer and photo instructor, Jimmy will hone your landscape and close-up photographic skills on layover days (see Photo Workshops and The Alaskan Gallery). In camp and around the campfire, trip members will read from Nora and Richard Dauenhauer's highly acclaimed books of Tlingit oral narratives and oratory, Haa Shuka, Our Ancestors and Haa Tuwunaagu Yis, for Healing Our Spirit and from Julie Cruikshank’s Do Glaciers Listen to give us dramatic insights into the indigenous cultures that were shaped by their environs. These readings will lay the foundation for discussions around the campfire. On this unique journey there will be two outstanding educators to illuminate trip participants about the environs that we will be traveling through. 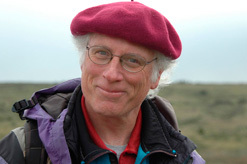 Daniel Monteith, Ph.D will join us to lend his cultural expertise to our educational journey. Daniel will discuss the vitality of the Tatshenshini-Alsek watershed as a sentient cultural landscape, emphasizing oral narratives and folklore, travel stories, indigenous names on the land, art, trade routes, and subsistence patterns. Through these and other genres of place, we will learn to appreciate how interior and coastal Natives perceive the environment as a moral community of beings; where even mountains and glaciers are alive and listening. We will also discover how Natives and non-Natives have negotiated this rich but formidable region over time, and how relationships continue to evolve in the present era of bordered states, parks and protected areas; and global warming. Our facilitator will also be discussing the prominent role that glaciers have played in the recent human history of northwestern North America. In the region through which we travel, aboriginal oral traditions, colonial expedition narratives and contemporary scientific research all pay close attention to glaciers. The impact of glaciers on human history lies not simply in their immense physical presence but also in their imaginative force. Daniel will draw on readings from early explorers and discussions of oral tradition. Those interested in taking more expressive images can count on trip leader/photographer Jimmy Katz to help participants find the subject matter that really inspires them, to capture the light and refine the designs of one’s compositions. This is usually the best trip for photographing the early summer wildflowers and snow-laden peaks. You'll hike up rugged side canyons, ramble over old glacial morraines, and walk on living glaciers. As we float downstream, we'll observe bald eagles, black and Alaska brown bear, and mountain goats. On this journey, we will discover how Natives and non-Natives have negotiated this rich but formidable region over time, and how relationships continue to evolve in the present era of bordered states, parks and protected areas; and global warming. Jimmy will also be discussing the prominent role that glaciers have played in the recent human history of northwestern North America. In the region through which we travel, aboriginal oral traditions, colonial expedition narratives and contemporary scientific research all pay close attention to glaciers. The impact of glaciers on human history lies not simply in their immense physical presence but also in their imaginative force. 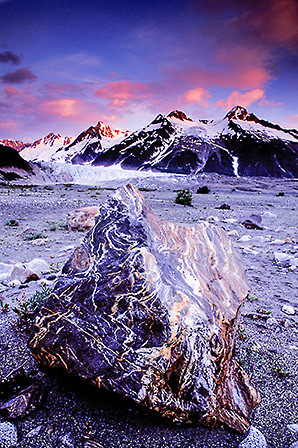 Nature photographer and photo instructor Jimmy Katz will hone your landscape and close-up photographic skills on layover days (see Photo Workshops and The Alaskan Gallery). Satisfy your hunger for adventure! 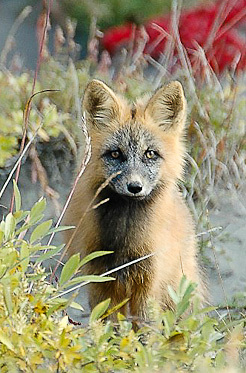 Explore the Marsh Fork and Main Forks of the Canning River, jewels of the ANWR! Experience the heart of Alaska's Serengeti and raft a lively Class II-III river. We will paddle through the very steep mountain valleys of the Marsh Fork, the Canning and then and out onto the coastal plain; interspersing our river days with layover days for hiking to your hearts content up the valleys and over the tundra; munching blueberries and observing and photographing caribou, grizzly, wolf, musk ox, fox and a plethora of birds. On those layover days, fisherfolk will have the opportunity to cast for Arctic Grayling and Arctic Char. Trip participants can take in the Northern lights while listening to Inupiat Eskimo Tales. This is a trip of a lifetime! Join outfitter/guide and photographer Jimmy Katz for this remarkable exploratory and capture through the lens some of the most captivating landscapes in North America. Plan ahead for this one one! Share the magic of wilderness by traveling with your family and friends in the land of Sasquatch. Kids are naturals on the river and their exuberance permeates the group. Like otters, they can romp and play to their hearts’ content; they marvel at natural wonders: rare salamanders, blue-bellied lizards, and iridescent dragonflies. They also learn how to "read water" and use their new-found skills in the inflatable kayaks. After a vigorous day on the river, guests will then enjoy the culinary delights of head chef Jimmy Katz and crew. Meals are geared for famlies with children and Mexican fajitas and tasty barbecues are the featured fare. Then we can all lie down under a canopy of stars and enjoy the sound of the river.